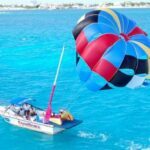 One of the main reason why people come to Cancun is to experience for themselves the beautiful beaches and clear blue seas which are all around. 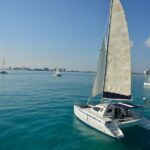 Jutting out into the Caribbean, a trip to Cancun simply wouldn’t be complete without a boat ride out to sea. Luckily for you, we offer a wide selection of Cancun boat tours for you to choose from! 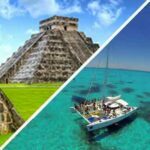 Whether you want to relax and soak up the sun while cruising through the Caribbean waves, or take a boat tour inland for a jungle adventure, we have boat tours from Cancun to suit everyone. Each trip is a once in a lifetime experience that you’ll never forget. 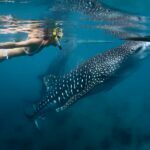 Snorkel with whale sharks, the biggest fish in the world, and get up close and personal with dolphins and turtles. 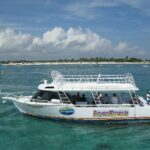 Or take a trip in our incredible submarine boat tour, where you’ll be able to gaze out at a stunning range of shipwrecks and ruins. 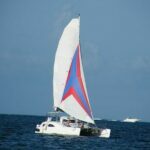 Taking a boat tour lets you see a side of Cancun and the surrounding area that many people miss out on, and is a unique opportunity to see Mexico’s beautiful aquatic creatures up close and personal. Make sure you book your place today, and join us for the aquatic adventure of a lifetime! weather virtually all year round, the city is extremely popular with tourists, because it’s the perfect tropical paradise. Many people don’t stray far from their hotel poolside or the beach, though, and those people are missing out on a whole world of adventure just a stone’s throw away from the city. Our most popular boat tours from Cancun involve a trip out to sea. Perched on the edge of the Caribbean, the waters around Cancun are home to some of the most incredible wildlife in the world. 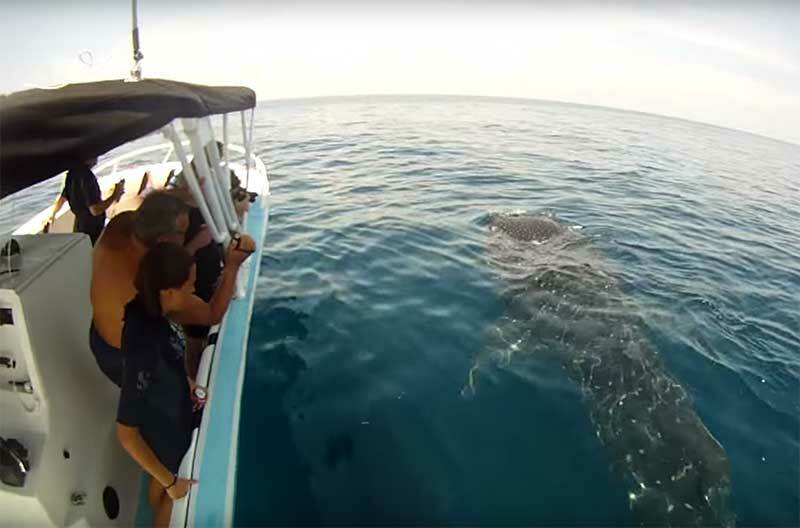 During the summer months, we see whale sharks migrate up here, the biggest species of fish known to man. While you might think of sharks as scary, dangerous creatures, whale sharks are different. They only feed on tiny plankton, and they are extremely docile and friendly. If you go on one of our whale shark snorkeling boat tours from Cancun, then you’ll have the unique opportunity to swim with these majestic creatures yourself! There’s plenty more to discover on our boat tours, too. Many more exotic creatures call the seas of the Mayan Riviera home, and on our snorkeling boat tours and submarine tours, you’ll get to see a huge selection of them. From slippery squid and octopuses, to barracudas and sea turtles, you’d only ever see these animals in an aquarium otherwise, so our Cancun boat tours are a unique chance to see them in their natural habitat. 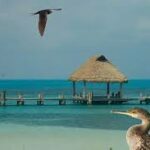 Of course, there’s more to our boat tours from Cancun than just seeing the local wildlife. For instance, you can take a ride on a speedboat, for a real hair-raising thrill. Hold on tight, as we whizz through the waves at breakneck speeds. Alternatively, you could try your hand at riding a jet ski, there’s nothing more liberating than feeling the wind in your hair and the sea splashing around you. For real thrill-seekers, though, we have something very special: our incredible Sky Flights. Choose between the open sea or the beautiful Cancun Lagoon, before strapping in and preparing for liftoff. You’ll then soar up to 100 meters above the water, all safely secured in a specially designed seat that gives you complete freedom to gaze all around you. Our Sky Flights are suitable for two, so don’t worry if you get scared, there’ll be someone there to hold your hand! You will also remain completely dry from takeoff to landing, too, so you’re able to take some stunning selfies that will have all your friends at home dying of jealousy, even if they are too chicken to try it out themselves! 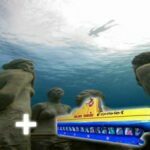 fact, we have the world’s very first “underwater museum”, and our boat tours will let you explore it up close. 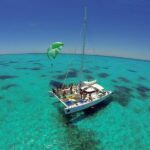 First up, you’ll be whisked away by the fastest speedboat in Cancun, out into the center of the Isla Mujeres bay, before strapping on your snorkel and diving into the water. Below you sits “Quiet Evolution”, a one-of-a-kind art installation by artist Jason de Caires. Formed of over 200 life-sized statues, you’ll be blown away by this stunning undersea landscape. Over time, the statues have been claimed by nature, and many of them are covered with live coral, or home to some beautiful sea life. Put simply, this is a truly once-in-a-lifetime experience, and is not to be missed by anyone coming to Cancun! That brings us on to another of the unique underwater sights around Cancun- the coral reefs. While Australia’s Great Barrier Reef is slowly dying, our reefs continue to thrive, and are now among the largest in the world. What looks like rock is actually a whole host of living creatures, in all manner of amazing colors. If you’ve never swum in a coral reef before, then you should certainly give it a try on one of our boat tours from Cancun. Your expert snorkeling guide will help you to quickly get the hang of your equipment, so there’s no need for any special training- anyone can join in the fun! Finally, let’s turn our eyes inland, to possibly the most special boat tour of all. Our Cancun Jungle boat tour is one of our most popular offerings, and for good reason. In your two-person adventure boat, you’ll make your way through lagoons and dense mangroves, right in the heart of nature. There are amazing animals all around you, and you’ll be right in the center of a jungle paradise that would be totally inaccessible otherwise. Your guide will take you into the heart of the jungle, before gently winding your way out to sea, where you will have the chance to snorkel amongst the coral reefs. This boat tour really does have it all! 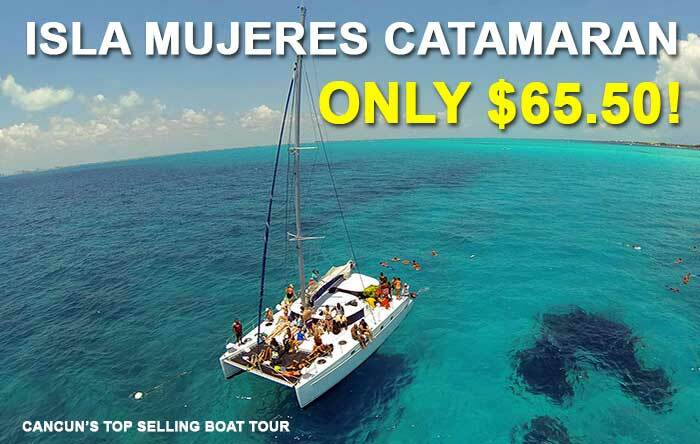 As you can see, then, there’s so much on offer with our boat tours from Cancun. Whether you’re a thrill seeker or an animal lover, you’ll find that we have a boat tour to make your next vacation extra-special. It just wouldn’t be a trip to Cancun without taking the water, so make sure you don’t miss out. Book your place on one of our tours today, and we’ll give you an incredible aquatic adventure that you’ll never forget!